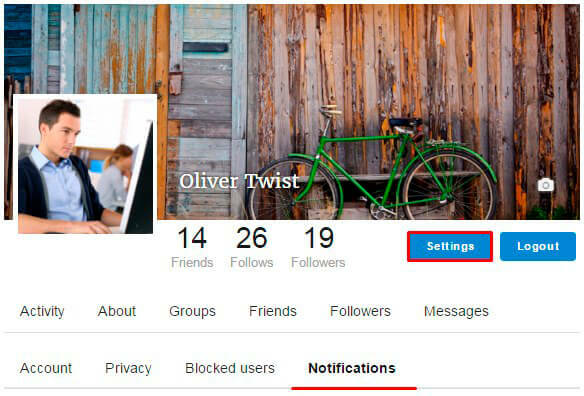 In order to quickly and easily monitor the activity of profile your users have ability to use Notifications option. It is on Settings section of Membership profile. By default they are enabled already. As user sent you a message or make a Friend Request or start to Follow you on the right corner of your cover you will see handbell icon. This icon disappear after all new notifications will be checked. If you select handbell icon you will be able to read all new notifications about your profile. 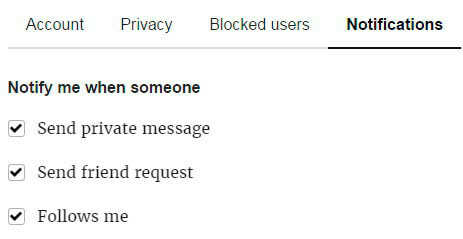 And note that at each of your profile tabs will be the counter of notifications number.